Congratulations! You’re ready to purchase a used Toyota. Luckily, you’ll find a diverse selection of dependable, pre-owned vehicles at Andy Mohr Toyota. Thanks to our committed professionals and our large collection of trustworthy automobiles, you’ll quickly locate the used Toyota Camry near me that’s perfect for your lifestyle. To help you find the vehicle that’s perfect for you, let’s take a look at some of the impressive Toyota cars in our showroom. Before long, you’ll know exactly which version of this sedan is best for your adventures near Avon, Indianapolis, and Plainfield. To tackle the road with the strength of a true champion, opt for the reliability and power of the 2015 Toyota Camry SE. This used car comes decked out in almost any technology you can imagine, not to mention its outstanding performance abilities. For example, this sporty sedan satisfies your need for innovation with its available Entune™ navigation system, which guides you to your destination with turn-by-turn directions. In addition, this pre-owned automobile provides you with a shield of optional safety features, including Lane Departure Alert, Automatic High Beams, Dynamic Radar Cruise Control, and more. If you want to surge forward like a speed demon, you find all the force you’ve been looking for with the standard 2.5L engine that leads the way with 178 horsepower and 170 lb-ft of torque. If you’re in need of a powerful vehicle to effortlessly carry you along your path, look no further than the 2016 Toyota Camry LE. This athletic automobile also comes equipped with a standard 2.5L engine like its predecessor. With this engine’s ability to tackle the road, you’ll always know that you’re ready to confront any obstacle you encounter during your journey. On top of that, this vehicle provides you with the user-friendly Entune™ infotainment system, which arms you with a 6.1-inch touchscreen. As a bonus, this model year comes with the option to include the Entune™ Audio Plus with Connected Navigation system. That way, you’ll always know how to get to your events and vacation destinations. Need somewhere to store larger items? Well, this used Toyota Camry equips you with a standard 60/40 folding rear seat that optimizes your trunk space. All you have to do is adjust the seats, and you’re ready to load up! Want to up the ante on your commutes? 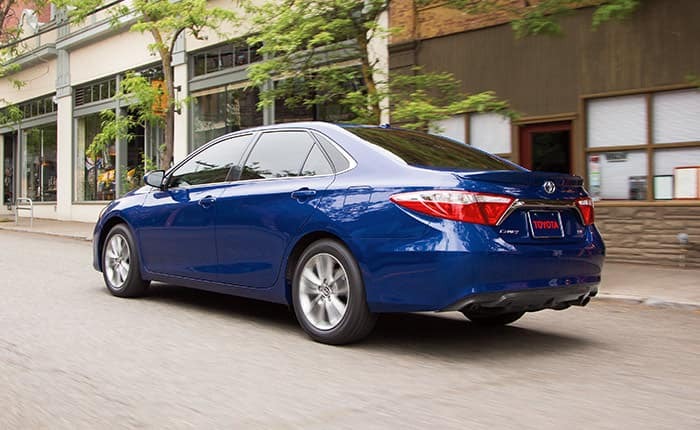 If so, consider the spine-tingling performance of the 2014 Toyota Camry SE. This sleek ride arms you with the same energetic 2.5L motor and also adds in a standard rearview camera. Thanks to this high-end device, you’ll make easy work of spotting other vehicles in your route while backing out of your driveway or parallel parking. Plus, you won’t be forced to crane your neck to check for approaching cars. To keep you feeling comfortable no matter what, this used Toyota Camry also features an 8-way power-adjustable driver’s seat. With this amenity, changing the position of your chair will be as effortless as the touch of a button. 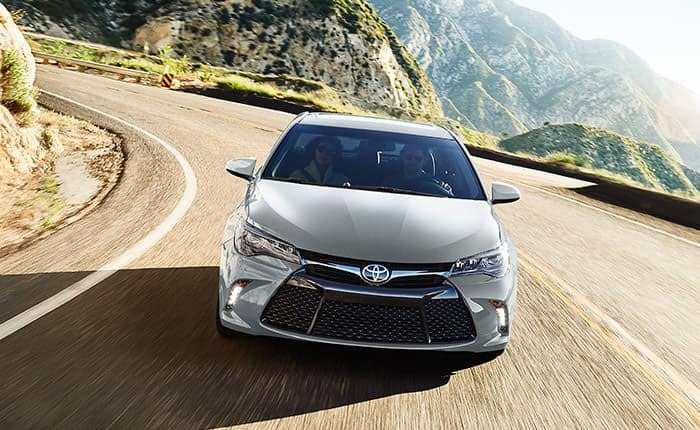 At Andy Mohr Toyota, we want to help you choose the used Toyota Camry near me that’s perfectly suited for your next road trip near Avon, Indianapolis, and Plainfield. With our wide variety of automobiles from which to choose, you’ll quickly locate the version of this agile sedan that’ll keep you feeling your best on the road. Don’t wait around to explore more of our pre-owned Toyota Camry vehicles for sale. Instead, stop by our showroom or test drive yours today!